Welcome back, ho ho ho, and Merry Christmas to everyone! I hope December finds you all in a healthy, festive and happy mood. 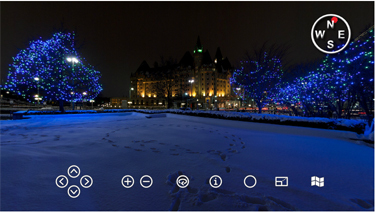 And to celebrate the season I thought I’d post a fun little Christmasy tour of Ottawa. While there isn’t actually very much snow here yet the magic of photography allows me to present my city to the world in all of it’s wintery goodness. The collection covers Elgin Street where it opens up and become a boulevard. This area of Ottawa contains federal buildings, embassies, Ottawa’s city hall, as well as numerous statues and public art. But at the north end of the street (just below Parliament Hill) is our National War Memorial the city’s most dramatic memorial. And it is along this stretch of road that the city hangs thousands of christmas light to brighten up things during our long, dark, winter nights. It is a more interesting project than I originally thought it would be. The first reason is the contrast to the last update. To see how Tokyo (a city of 30 million) lights up its streets on a daly basis vs. how Ottawa (a city of one million) lights up its streets during the most festive season of the year is kind of interesting to see. The second reason it is interesting is that about half the buildings that you can see in this collection are currently covered in scaffolding or under construction. Because 2017 is Canada’s 150th birthday and because Ottawa will be the place to be the entire downtown core is being repaved, repainted or renewed. Added to that is the fact that they are now building our very first subway line underneath the downtown (to be opened in 2018) and this past year has been a total mess. However knowing all this was going to happened I planned ahead and went out last winter to capture this Christmas lights collection for you and to document a little of how things looked before these changes kicked in. In other news much has happened since we last spoke, November was a very good month and has allowed me to move forward with some different things that I had wanted to do earlier, but didn’t have the ability until now. Hopefully it will mean a much busier 2017 on this site, but more about that in upcoming blog posts. Since this will be the last update of 2016 let me wish you all season’s greetings and a very happy new year. Welcome back and konichiwa mina-san. What I’ve got for you today happened ‘a long time ago in a galaxy far, far away…’, or maybe it was just in Tokyo from 2009, but for me it this collection is just as exciting as any of the Star Wars movies. I’m excited about this post for four reasons. The first is this collection of panos is super cool, the second is that this stuff is old, or at the very least oldish, the third is the serendipity of finding this collection buried in my hard drives and the fourth is that this particular collection of panoramas has a strong emotional connection with me. Tokyo rocks, there’s no other place like it anywhere. It’s dense, compact, twisting and turning and full of energy. But rather than being a city like most people live in, Tokyo is made up of 23 districts that can all be considered cities unto themselves. These 23 areas are tied together under the banner of Tokyo which is not a as much of a city as a kind of province or state of its own. 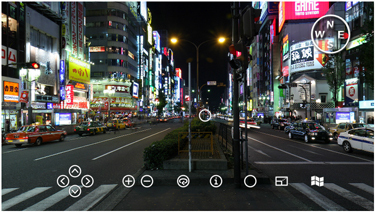 Shinjuku is one of those districts. Yasukuni-Dori (Yasukuni Street) is the centre of Kabuki-Cho – Shinjuku’s entertainment district -and Shinjuku’s entertainment district goes on for blocks around Yasukuni-Dori. Yasukuni-Dori is best experienced after dark, it is kind of like Tokyo’s Times Square and the inspiration for countless futuristic movies. Aside from the subject of these pictures, what I like about this collection is that it’s old. 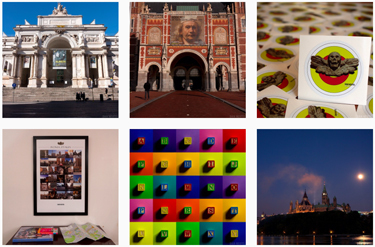 Both in terms of my photographic journey and because the area has changed since then. Bars and restaurants have changed, new buildings have gone up, you can see the olds ads for Tokyo’s 2016 Olympic bid (spoiler alert…they didn’t win) and there is now a multi-story bus station across from Shinjuku Station. Capturing the past and preserving a little bit of it is what motivates me. I started doing these things on the tops of the many Japanese mountains I climbed just to remember the views knowing that I would never get back to these locations. The first ones were just hand held and knocked off in a few seconds before descending. Over time improvements were made and new techniques were developed and I slowly started to see the possibilities in this type of photography done in other places. I slowly brought my panos down from the mountain and into my daily life. This collection are the first ones where it was all coming together they stand up many years later. Shot over about six weeks in the fall of 2009 they were just something to do on random walks I’d take through the area. Because the panos were shot in pieces and never intended to be put together like this they were saved separately here and there. Then digging through the files for some old Toronto stuff, I found one after another. Not all are great, but I think that the four going down Yasukuni Dori are a strong enough anchor as a collection that I can throw in a few weaker ones that would likely never see the light of day without them. Finally, living in Japan for so many years had a massive impact on me. I loved my time there and ad it not been for a worldwide economic melt down I think I’d still be there. This collection takes me back to a time that now seems like a dream when I lived in Tokyo and would wander around here regularly. The good thing is that I never really took my time in Tokyo for granted and I know I’ll get back there again. Boo, and Happy Halloween 2016! Because every spooky ghost needs an equally spooky place to live and because in Canada there are no spookier places than Casa Loma, I thought this location, photographed on a spooky overcast day would make a great update on this the spookiest of all days. 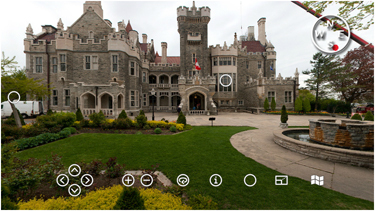 In digging through the files for my previous update I stumbled upon an entire Casa Loma multi-pano tour that photographed back in early 2012 and that I had totally forgotten about. I have a lot of pictures on a lot of hard drives, and nearly no organization for any of the older stuff, so I operate off of memory. For a while it kinda worked, but now that I’m about 15 terabytes in I’m finding it to be a profoundly flawed system. Anyhow, I vaguely remembered shooting a pano or two here back in the day and I thought it might work with the older Toronto stuff I posted. When I went looking for them I kept discovering more and more and realized there was enough for an official ‘Dan Neutel Tour’. As I get older I’m discovering that life is little more than some kind of a bizarre project between your older self and your younger self. Both part of you are trying very hard to achieve something important together despite the near impossibility of the task. The younger self has to predict what the older self will need to survive and thrive while the older self desperately has to fix and overcome the younger self’s total ineptitude at the task. The end result is nearly compete confusion throughout one’s life. My photography is kinda like that too. I typically shoot everything I see and think that I’ll somehow understand what I did it for in the future, but the very act of doing that only confuses the future me who is forced to sort through vast quantities of photos trying to understand what the point was. But enough about me and back to this update. Casa Loma (Spanish for House on the Hill) is a great location to photograph with an even bettter back story. The building, considered to be one of North America’s only real castles, was built between 1911-1914 for Sir Henry Pellatt, one of the wealthiest men in Canada at the time. He had made his fortune in railway, real estate, electricity and financing and the final success of his life was going to be the building of this grand house. When competed it cost 3.5 million dollars, it was seven stories, 65,000 square feet (6,000 m2) and was the largest private residence in North America at the time. It was a marvel of modern technology when completed as it was fully electrical, with an elevator (the first in a private home in North America), it had a telephone in almost every room, pipe organs, a central vacuum cleaner, an indoor pool, shooting range and a bowling ally. The stables alone cost $250,000 had mahogany stalls, cast iron panels and the horse’s names engraved on gold plaques. Sadly, Pellatt and his wife were only able to live there until 1923 when their finances ran out and the city took control of the property due to unpaid taxes. The size of the structure made demolition impossible and it has since been a hotel, restaurant, museum and even a site for developing anti-submarine sonar systems during World War II. Despite the hard time’s it has seen today at 100 years old the castle has lost none of its beauty and is one of Toronto’s top tourist attractions. What I’ve posted is not really a comprehensive tour of the castle or its premises – it was shot while I was visiting with some of my young nieces and nephews – but it does give viewers a bit of a feeling of what things vibe there is in and around one of Canada’s coolest landmarks. It’s been a long, hot summer here in Ottawa, but we are finally into the cooler fall season, and after a few months away from the site the little voice in my head telling me to post new stuff has finally gotten loud enough that I can no longer ignore it. For the most part I just kinda just sat back and drifted a little this summer. But not in a bad way, I did a little more volunteering, I played a little more music, I exercised a little more and I focused on the low hanging fruit of the photo world – instagram. While I continued to shoot a lot of stuff over the past few months I didn’t feel much like sitting down and putting any of it together. There’s a restless kicking in with me these days and these panos require a little more time and effort than most people might think, so I’ve been happily avoiding. That being said I did have fun getting this batch together, so I guess the moral of the story is that it is easier to keep routines going than to try to get back into them once you’ve stopped. Photographically speaking, I spent a few weeks in Toronto cat-sitting for my brother while he was on vacation. Which brings us to part one of this particular update. With a ‘bro in T.O.’, I tend to spend a lot of time hanging out in Canada’s largest city, so I shot a bunch of new stuff and dug through the hard drives and came up with a batch of Toronto panos that span the ages…at least if the past six years are ‘the ages’. While not all of them are super exciting, the earliest ones already show a slightly different city than exists today and that is kind of exciting for me – a guy who sees what he does as a sort of historical documentation of the world I inhabit. These days Toronto is like some type of living breathing organism that has a life of it’s own. It is a monster evolving into something new that no one can really predict with entire city blocks can be torn down and rebuilt in shockingly short periods of time. The second addition included in this update is a much needed index page. I sort of follow the policy of ‘just throw as much crap against the wall and see what sticks’ rather than the edit down and only show your very best. Since having a website allows me a limitless canvass to work on I’ve always tried to use every last bit of it. The downside is that like Toronto the site is a constantly growing and evolving thing with the newer flashier stuff too often overshadowing some of the older gems. I don’t want to stop adding because I learned long ago that different people see very different things in a photo. So while I aim to keep the overall quality of work extremely high, I’ve also always posted as much as I can for people to explore on their own. However, with the sheer volume that’s gone up over the past few years the site is getting so big and so unwieldily that even I can’t always find what I’m looking for. I can only assume that guests would find it a bit of a mess, so as a partial remedy from now on everything is going to be organized into a few lovely spreadsheets. From here on in bored people stuck in their offices can scroll through all my panos by name, city, country and year photographed. And on that note I’m off to do some more drifting. Sorry for the delay in posting, but it has been a hot, yet surprisingly nice summer here this year. That has meant much less sitting in front of my computer and much more jumping into cars and puttering around this cool province I live in. Today is the first of a bunch of projects I’ve thrown together and one I’ve wanted to get done for a long time, I finally got back to Niagara Falls to photograph it properly. The reason I wanted to ‘bag it’ is because it is both a natural wonder and because it gave me a chance to create my first international pano tour. My concept was simple I wanted to stand at the very edge of both sides of the Horseshoe Falls and allow the viewer to ‘jump’ back and forth between them. As you will soon see it didn’t really work out quite as I’d hoped, but timing is everything and mine was just a little off when I shot this in early June (construction was a few weeks from finishing). The intent was there, there is lots else for you to chew on, so I guess I can just go back and reshoot it all down the road sometime. The falls themselves are far more than just a tourist attraction. They play a major roll in Canada’s military, industrial, and natural history. Because 40% of the Canada US boarder is water, the falls and the Niagara River initially were key defensive positions. Once conflict between Canada and the United States has subsided after the War of 1812, the falls became a vital industrial and power generating location. Today some of the coolest attractions are the old school power plants dotted along the river’s edge. But the industry nearly blotted out the falls’ beauty so governments got involved and the most recent reincarnation has seen the industrialization dialled way back and a renewed emphasis on the natural beauty of the place. I hope to give you guys a little taste of all of that, but also to show the vibe of the place as it is in 2016 with just as much focus on the people and the sites as the falls themselves. Spring is here and after a long cool spring the weather is outstanding these days, so to celebrate I thought I’d go indoors and photograph another local museum. Today it is The Canadian Aviation and Space Museum and if you like non-living, flying things then this may be just the place for you. Ottawa is located a the bottom of a long, wide valley, so it is a remarkably flat landscape. This made it an ideal pilot training region during the Second World War and because of this we have many old airfields around here including the former Rockcliffe Air Station (CFB Rockcliffe) which is almost in downtown Ottawa. Today it is a small plane recreational airport and the site of this gem of a museum. The first thing you notice when you walk in is faint smell of rubber petroleum products and the second is that every inch of the place is packed with planes of all sorts. The museum houses more than 70 pieces and there is obviously strong emphasis on planes that impacted Canadian history. While I’m no grease monkey, I do find planes are a really neat combination of science and art and unlike most other modern weaponry have great positive uses. As is the case with most things I photograph this tour kind of spun out of control and has way more vantage points than I thought it would when I first wandered in. Initially I think I walked in planning on doing five or six and walked out with 19. I love lines in my pictures and I just found that in such a full and interesting place you only have to walk 3 or 4 meters before you a get to another amazing angle to shoot. I’m kind of partial to the WW II stuff wherever I end up, but with the planes there is a certain romance to those older prop planes that the newer, sleeker jets just don’t seem to have and this tour is certainly a little WW II heavy. The naming of the hotspots on the tour are pretty random and loosely based on things nearby…I’m not an expert in this aviation stuff. 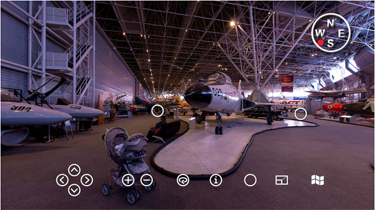 My focus is on the images not the accurate naming of things, but if you want more info the Canadian Aviation and Space Museum has a great website with comprehensive maps you can check out for better info. I hope you are all well on this fine Victoria Day long weekend here in Canada. Since this is the day that we celebrate our former colonial mistress, I thought I’d post something that lines up with the times that she ruled. This week it is Fort Wellington. 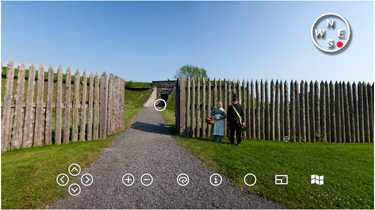 About an hour from Ottawa and originally built in 1813, the fort was needed after the War of 1812 (the North American war, not the more famous European one) to protect the young colony from an expansionist United States. It was located at Prescott Ontario because this town was an important communications post and the St. Lawrence became narrow and rough there so shipping lanes needed greater protection. The two countries are so close that mini invasions were done over the frozen river. The fort was never attacked and played a number of different rolls in Canada’s military history until 1923 when it was given to Parks Canada. Today the Fort Wellington is a Canadian National Historic Sight of Canada and has been restored to its 1846 condition. It really is a cool little place to hang out in and worth a trip if you’re ever in the neighbourhood. 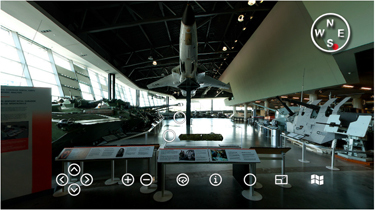 This month we’re looking at a great little spot here in Ottawa – The Canadian War Museum. Housed in a relatively new building, only completed in 2006, the museum’s objective, rather than focusing on any one individual war, is to shine a light on how modern Canada was formed by the various military campaigns we were involved in. 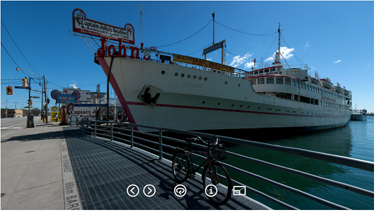 It is a great balance of education and entertainment and nice place to spend a few hours. The grand finale of a visit and the focus of this pano tour is the LeBreton Gallery. The Gallery is a place where you see a huge collection of fully restored weaponry from the ‘Canadian era’ of warfare. Before you check it out just a quick warning, you may need to put on sunglasses first because the shooting was nearly imposable and the final product actually gives me a bit of a headache. It was a lot like shooting in a cave. A huge glass wall running behind camouflaged and olive green tanks set on a highly polished concrete floor. Not easy, I had to choose between black silhouettes of the tanks or totally blown out windows. I opted for the latter – detail in the tanks and none in the windows. One other thing, since there are so many items in such a small space the naming of the different locations of the tour was tricky. I just went with whatever piece of machinery was closest to the image. So if you don’t know any of these names don’t worry neither do I, it was done strictly out of necessity. Yes ladies and gents, there is a pulse over here and while it was faint to the point of being on life support, I’m finally back to inject a little electricity into this old website. Life is good over here. The last of the winter seems to have blown away in the past week and I’m sitting here watching hockey playoffs as I write, so things are good in Canada. But the big news is that I’ve finally dived headfirst into the 21st Century. No, I still don’t have a smart phone, I haven’t started DJing and I still don’t buy into the belief that the internet is the great democratizing force they once billed it to be, but I did start an Instagram account. And while I’m sure that all those other things will soon happen too, for now this is big news. I’ve been an Instalurker for months and I have to say that the creativity that is found on there constantly blows me away. From quilters to photogs to gardeners to typographers, different cultures and different perspectives, it is nothing but happy people making happy things. And best of all it is done without any of the political rantings, lame newspaper articles or advertising that makes my Facebook account unbearable at this point. Instagram somehow makes me hopeful for humanity, that’s saying something. I’m still trying to figure out how I’ll use it in conjunction with this site, but I think that I’ll be able to throw some of the B-sides, the more fun and more experimental stuff onto Instagram and keep the more ‘classical’ photography here. But who knows where these roads lead, I’ll say that you’re all welcome to come along for the ride and see where we end up. The news is the addition of an index to help people get around the site a little better. This site is becoming big and unwieldy and I have to find some better way to help folks navigate through it. I’m not one of those people who believe in the notion of editing down to the minimum, I like all the stuff I’ve posted and want it to be more accessible. At this point the best I could think of are a bunch of thumbnail links on the home page. They will take you the different nooks and crannies of the site. I’ll see how that works and keep playing with it till I find something that solves the problem.